Learn more about creating healthy, equitable Networks for Learning. Getting Smart on Regional Next Gen School Design - This bundle written by NGLC's Sarah Luchs and Getting Smart's Tom Vander Ark illuminates best practices from six regional hubs for innovation, showing the unique ways they approach the work while sharing similar goals. Intermediary Organizations and Education Innovation - This report from the Center for Public Research and Leadership offers frameworks and tools for understanding and evaluating intermediary organizations and their role in K-12 education innovation. It's an in-depth look at the role of NGLC and the Regional Partners in providing deep, stable, local support; pool learning; and ignite innovation in a region. Kickstarters for Personalized Learning - This in-depth reporting by Julie Landry Peterson for EducationNext examines whether regional funds are a smart strategy for scaling personalized learning. It examines the seven NGLC Regional Funds as well as efforts by Silicon Schools Fund in California and Raising Blended Learners in Texas. Regional Funds landing page - Learn more about this partnership to grow next gen learning across the nation. Remake Learning is a network that ignites engaging, relevant, and equitable learning practices in support of young people navigating rapid social and technological change. The network, established in 2007, is an open group of interconnected, creative, and innovative people and organizations in the greater Pittsburgh region. Getting Smart on Reinventing Education: How a Pittsburgh Network is Remaking Learning - This bundle includes profiles of Remake Learning members South Fayette Schools, Carnegie Mellon University, Montour Schools, and Propel Schools. 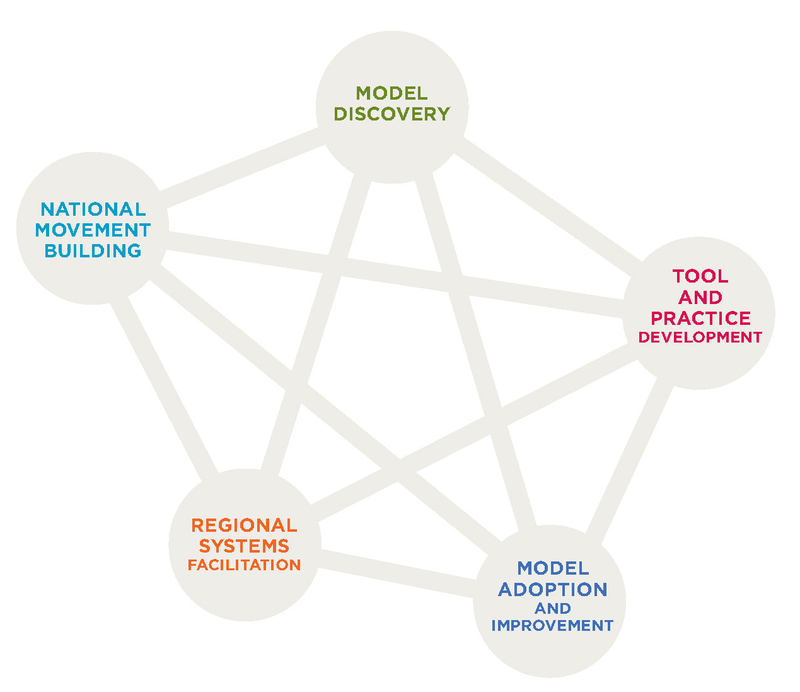 The bundle offers ideas for utilizing a network to transform teaching and learning in a region. Strengthening Models at the Intersection of Equity and the Future of Learning - In this blog post, Remake Learning director Sunanna Chand reflects on a recent network gathering focused on equity. Learn more about members of the Remake Learning network who are hosting site visits for the Networks for Learning convening. CommunityShare is a locally-based online network that connects the skills and experiences of passionate community partners—individual professionals, community leaders, organizations, and businesses—in the greater Tucson region with the goals and needs of educators in schools and informal learning environments. Together they create real-world learning opportunities for youth to discover their own passions and illuminate pathways for transforming their passions into career possibilities. What if volunteers had a Craigslist to help public schools? Margaret Wheatley with Debbie Frieze, in an article published in Resurgence Magazine, Winter 2011, provides insights into new ways of practicing leadership in networks by acting more as 'host' than as 'hero'. "Leaders-as-hosts" invest in meaningful conversations, convene people together, offer unequivocal support, and re-engage people who have been held back in confining roles. READ THE ARTICLE. Julia Freeland Fisher of the Christensen Institute examines tools available to expand beyond students' inherited networks to learn about careers and opportunity. "Opportunity is something young people are—or aren’t—networked into.... Education institutions can address this reality by exploring emerging tools and approaches designed to reach beyond students’ inherited networks and, in some cases, immediate geography." READ THE ARTICLE. In a podcast with Getting Smart, Curtis Ogden discusses his work with change leaders to build collaborative capacity. The conversation covers his experience with education networks, both managed and voluntary. And Curtis spends time discussing "regenerative networks"—resilient systems that renew themselves, and how a regenerative network of schools might act. LISTEN TO THE PODCAST. This brief from FSG demonstrates why networks matter for the personalized learning sector and explores the roles that networks already play today. The brief then poses strategic questions for network leaders, funders, and policy makers on how to strengthen networks going forward. READ THE BRIEF. Getting Smart compiled a ton of helpful resources related to school networks. BROWSE THE SITE. This forthcoming book by Tom Vander Ark of Getting Smart and Lydia Dobyns of New Tech Network examines how both charter networks and networks that connect district schools are streamlining school improvement and creating great new schools. They analyze learning models, strategies, and innovations for collaboration, scale, and quality in K-12 education. LEARN MORE.